music bar 45 : Wed April 17 2019 [DJ] Hello, Wednesday! Wed April 17 2019 [DJ] Hello, Wednesday! 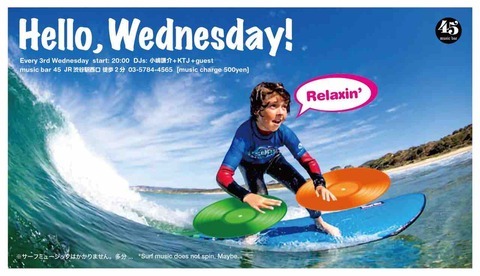 Wed Mar 20 2019 [DJ] Hello, Wednesday!